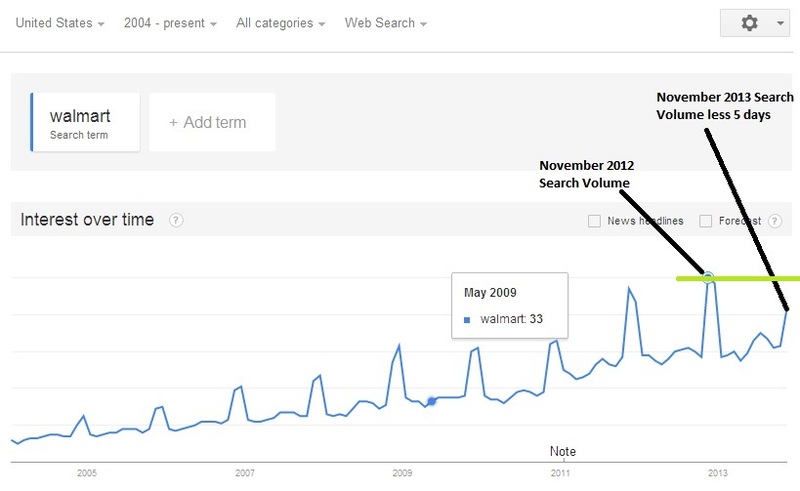 You’ll see in the below volume search trend for Amazon that November 2012 search volume (indicated by the blue dot for which a green line is running through) for the term is currently greater than November 2013 search volume. 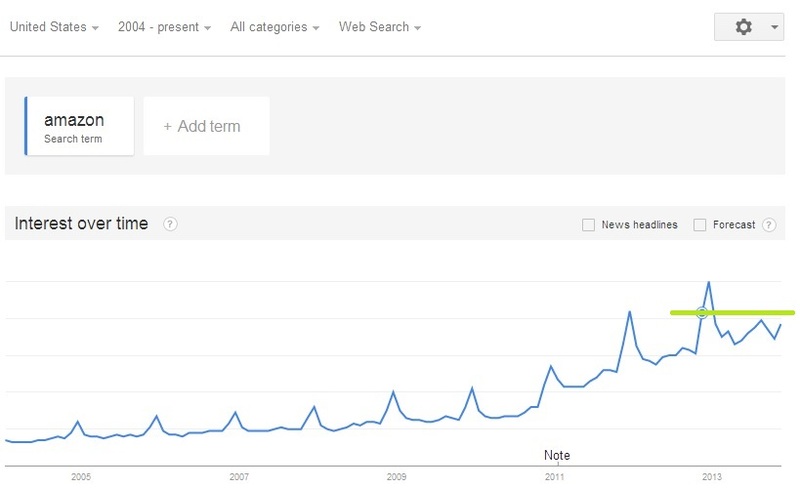 It’s not to say that searches wont increase over the next five days, because I can guarantee you that they will. 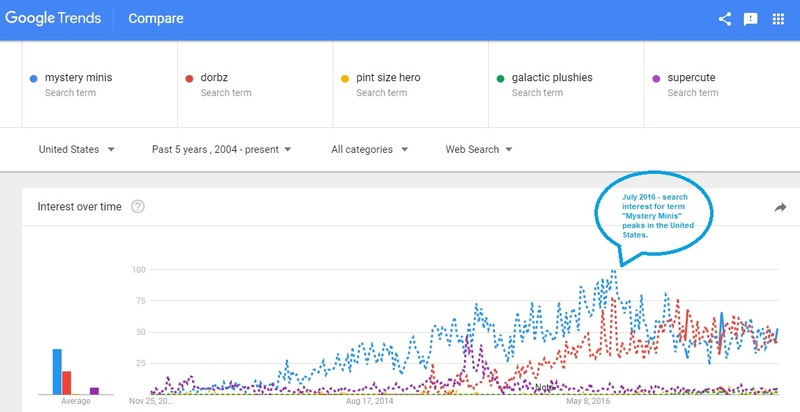 In the event that searches cannot at least meet the 2012 search volume line, I would be concerned. This retail juggernaut is the heavyweight of the three and will most likely benefit much more from the Black Friday than it’s Cyber Monday Sale. 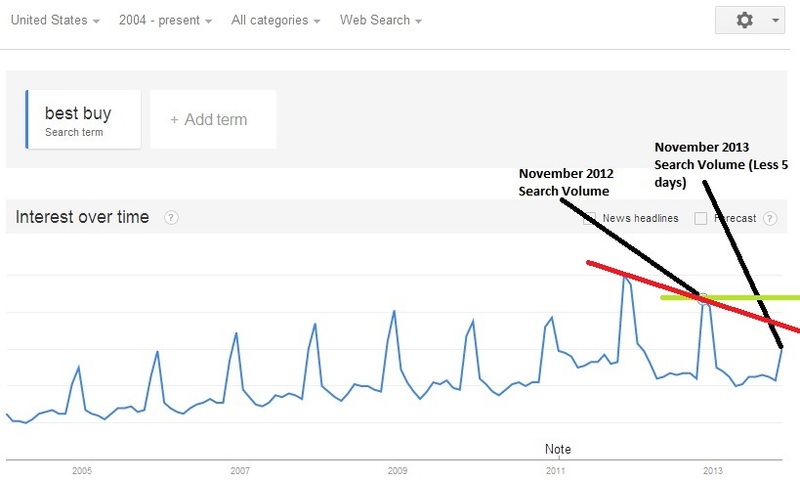 At the moment, search volumes for November 2013 will need to increase drastically over the next 5 days in order to match the same period last year. There are some that say 2013 Black Friday/Cyber Monday is poised to break records according to this CNET article here. I would beg to differ in that, unless interest picks up over the next 5-7 days, we may be in for a not so pleasant surprise. Investors, I would suggest that on top of whatever investing strategy you employ, that you keep a close eye on search volumes for these retailers, as this may be the early eye you need to make a determination on making the respective investment.